Below you can view all the homes for sale in the White Oak Hills subdivision located in Decatur Georgia. Listings in White Oak Hills are updated daily from data we receive from the Atlanta multiple listing service. To learn more about any of these homes or to receive custom notifications when a new property is listed for sale in White Oak Hills, give us a call at 404-998-4097. Don'T Delay!! Come See It Today! ! 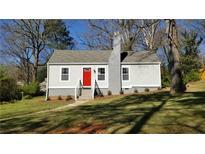 MLS#6538619. Bhgre Metro Brokers. Large Backyard And Deck Great For Entertaining. 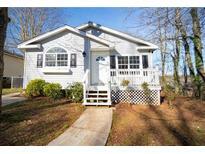 MLS#6532500. Keller Williams Realty Metro Atl. Lottery Eligible For Museum School And The Drew Charter School. Rent Zestimate 1595/Mth MLS#6523329. Homeland Realty Group, Llc.. 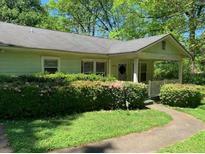 So Close To Decatur & Museum School Eligible MLS#6522271. Keller Williams Realty Intown Atl. 2000 Fridge Allowance Closing By 4/15 MLS#6511555. Keller Williams Realty Intown Atl. Nice Yard With Entertainment Space On Back With A Garage And Extra Space. MLS#6125115. All Trust Realty, Inc..
Real Hardwood Floors Throughout, All New Systems, Simplisafe Security System, Massive Lot, New Deck, And Even A Special Place For Your 4-Legged Buddy! MLS#6118799. Keller Williams Realty Metro Atl. 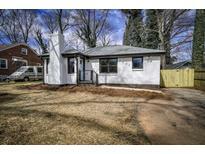 Seller Will Provide 1 Year Home Warranty MLS#6114717. Palmerhouse Properties.